This week, we meet Mymy and her family. Mymy and her husband live in Gran Canaria, Spain with their son. Both are French native speakers. Thank you very much to Mymy for answering my questions. We all speak French together at home as my husband and I are both French. English when he is going to the British School in September, but also Spanish as the pupils are mostly from here. When he goes to school in September, hopefully the % of English (and Spanish) will increase. We are different from O.P.O.L families as we both speak French. We make sure we (the parents) always speak to our son in “full” French, e.i. we try not to mix 2 languages in the same sentence/conversation. If we do, we say “in English we say like this, in Spanish we say like that”. Other people around him will speak Spanish or English to him. Sometimes I repeat what I say to him in Spanish if we are around Spanish people. Our son reads books and watches TV cartoons in French, English and Spanish. If we change books or the language on TV we always indicate what language it is. And now he says it himself. He recognises if the TV is in French, Spanish or English and if I read a book to him in English and he does not want, he will say “no, read it in French please”. He also knows that when we are outside of home, we mostly speak Spanish with people and he naturally greets and speak (the sentences he knows) to people in Spanish. At the moment, it is still difficult for him to understand that if we are around English people, he has to switch to English. He will more naturally speak Spanish to them. I think the main reason is that we mostly see Spanish people outside of home. We hope it will get easier when he goes to the British School. He was born in England and went to nursery in England for a year before we moved to Spain. So we expect him to catch up quickly on his English. I don’t think we would do anything differently. It does not mean that we are not making mistakes, we just don’t really imagine what we would do differently. People often think we are confusing our son by introducing a 3rd language to him (English) but we do not agree. 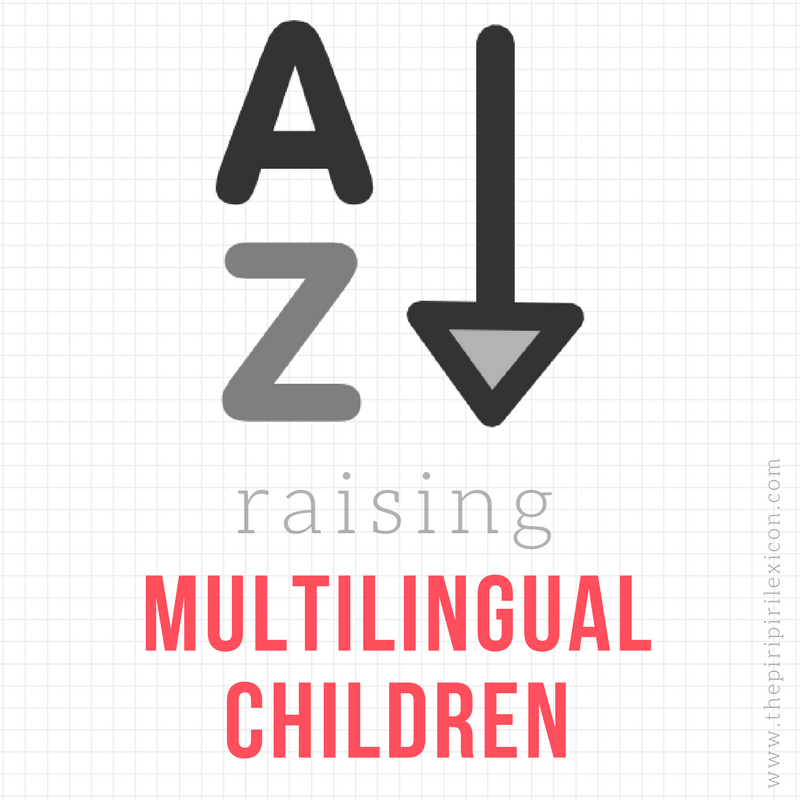 My husband and I are both foreign language teachers, we have studied multilingualism and we know the best time for children to learn foreign languages is at an early age (preferably before 6). Their brain are like little “sponges” for languages. Mymy also coordinates the Worldwide Culture Swap with two other mums. It is a fantastic initiative for parents and children to swap packages with other families around the world. Check it out if you don't know it yet.